Tuesday morning, we were part of a select few that got a private tour of the new Mercedes-Benz Stadium (MBZ) replacing the Georgia Dome. But before that, we witnessed a landmark moment in progress for our new football club Atlanta United. The latest club to benefit from MLS expansion, Atlanta United FC will kickoff its first season next spring in 2017. What took place yesterday was a type of prequel to next month’s international friendly. 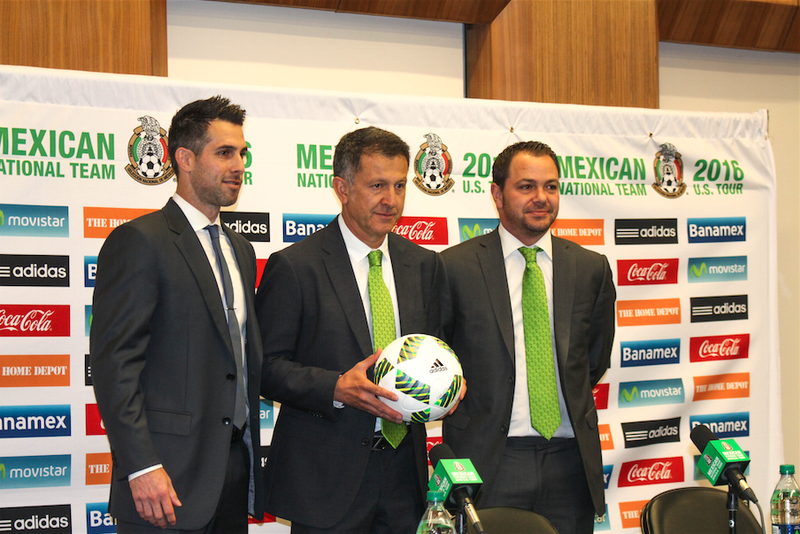 Atlanta United Technical Director and US Men’s National Team legend Carlos Bocanegra officially welcomed two important figures: Santiago Baños (Director of National Teams for Mexico) and Juan Carlos Osorio (Mexican National Team Manager). The city is abuzz with excitement with the return of the Mexican National Team. Their friendly with Nigeria in 2014 and their Gold Cup match against Panama in 2015 drew sold-out crowds to the Georgia Dome. As of right now, 30,000 tickets have been sold for next month’s match with Paraguay. True football fans are excited to see Mexico try to extend their 18 match win streak (longest in the world) with Chicharito (Javier Hernandez) and Carlos Vela at the helm. After the press conference, we proceeded next door to Mercedes-Benz Stadium, currently under construction. 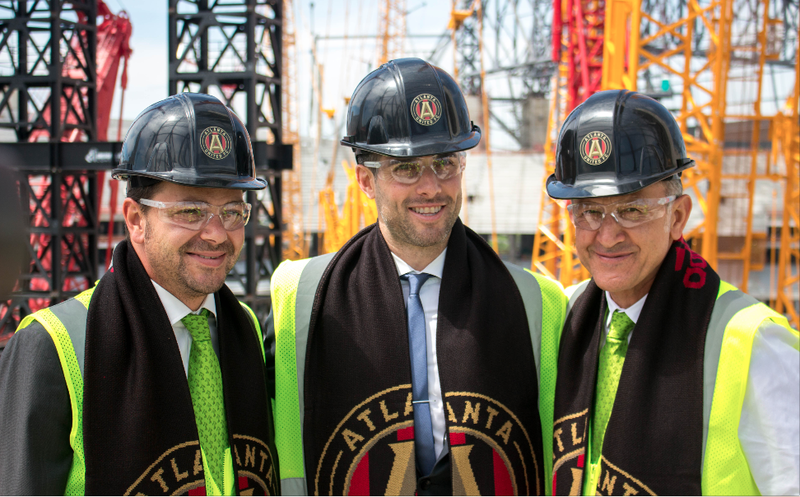 During our hard hat tour, we were able to get a sneak peek at the Atlanta United locker rooms, therapy rooms, suites, and an amazing city view from the top. The tour was topped off with a photo-op with our guests of honor from Mexico and Carlos Bocanegra. These are exciting times in Atlanta. With the arrival of a new MLS club and the announcement Monday on their new Marietta training ground, ATL will definitely be in the football spirit sooner than later. This new stadium will be the best in MLS and arguably the best in American sports. Season tickets are available now with a preview center available to visit to see/feel the seating in-person.